Most curtains and blinds have similar benefits of energy saving, privacy and other functionality. While home owners install blinds purely for privacy and energy saving functions, curtains are for decorative purpose. Curtains are available in numerous designs and patterns and can be a great interior decoration items if synchronise well the interior design. Curtains and blinds are significant aspects of a house; more often people design their interiors with the best furniture, designing rugs, and wall-paint but neglect the curtains or blinds. It makes the house bare and spoil the entire the interior. Curtains have great impact on the home aesthetic, not just the room but the whole feel. The transformation of the room doesn’t depend on some fancy furniture or a single aspect, but it is the synchronisation of all aspects including curtains and blinds. The choice of curtains depends on many aspects of your house such as size, furniture, colour of walls and others. Curtains are available in various colours, designs, patterns, and texture. You can create a wonderful interior décor if you follow the detailing of your window treatment. Almost all homes, kitchens and living rooms are the busiest locations. Therefore, these rooms demand special attention. You need to give special treatment to these rooms in terms of style and presentation. If your budget allows, you can use wooden plantation shutters over mini blinds in the kitchen as well as living room. These wooden blinds showcase an impressive statement and therefore adding substantial value to your home. Plantation shutters are a permanent structure and thus almost behave like furniture. It complements with other furniture in your room and accentuate your interior decoration. In addition, these shutters are highly energy efficient, minimising energy bills and a great investment. For a living room, you can use blackout curtains or solid coloured curtains. These curtains not just create a cozy atmosphere in the room, but also filter approximately 40% of the outside noise from entering into the room. These curtains also energy efficient as in winters it keeps the heat inside the room, and in summers, it reflects heat out of the room. You have to ensure that you are getting more than required of daylight in your room and after that think about the material. You can search for a material which is thicker with many-sided examples and folds which can hinder the additional warmth and daylight from entering your home. A lightweight material can offer you the protection you require however you have the daylight sifting in. This should be given an idea. Silk looks extravagant and excellent however it gets exhausted a bit too early. You should interline these for solidness with the goal that they can last more. Substantial weight window ornaments and blinds do diminish drafts so if you choose a light weight one make a point to interline them. Remember the stylistic theme of your home before picking the shading and examples for your window drapes. The primary functions of both curtains and blinds are privacy and light control. While decorating your house, it is important to consider the purpose of your window treatment whether it is curtain or blinds. 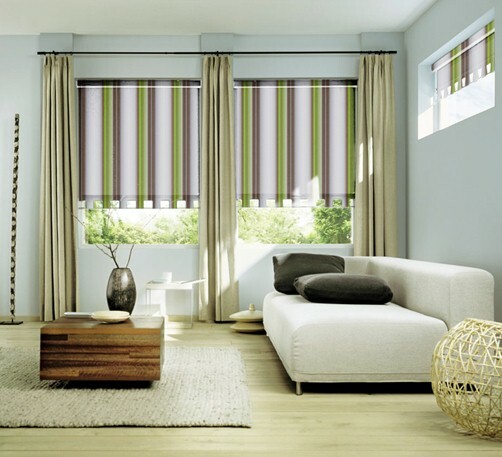 Roman blinds in Melbourne are excellent in controlling light and quite energy efficient. On the other hand, neutral coloured curtains go well with almost every type of décor. If your purpose is entirely decoration, you can use sheer curtains that are purely decorative, allowing light to enter into your room. Curtains are accentuated with designer pelmets and capture the attention of visitors. Motorised blinds add both functional as well aesthetic values to your home. It is expensive but if you seek convenience, this is the best thing you can buy for your windows. There is a growing trend to combine both curtains and blinds to showcase the interior designing of the house. The combination of curtains and blinds is great when you ask for both functional and aesthetic value. Roman blinds in Melbourne is an excellent alternative to his, providing you a luxurious appearance of curtains with the mechanism of blinds. They are flexible and adaptable to any room. The styling is versatile and goes with all types of interior decoration. These blinds are also energy efficient and offer appropriate sun blockage and room insulation. These are certainly not an alternative for curtains but many people adopt these blinds as a role of curtains. Ian Doherty is a professional contractor specialised in window treatment. He has been working for last 15 years in different parts of Australia as a private contractor. He has also written lots of articles on Roman blinds in Melbourne, and many other window treatments. Next ArticleHow to Choose Professional Glass Repair Services for your Home and Office?